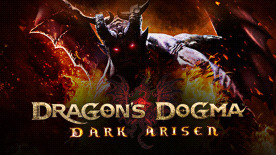 Dragon's Dogma: Dark Arisen is an outstanding game that sets you down in a verdant fantasy world and instructs you to go hunt down the dragon that ripped your heart out. Along the way, you'll battle huge mythical beasts, partner up with magical buddies known as Pawns that you can share online with your friends, and generally have an amazing time. It's the moment to moment gameplay that makes Dragon's Dogma shine. An open-world RPG that refuses to compromise on rich, character-based systems and customisation, Dragon's Dogma is one of those rare breeds – an immersive, expansive role-player that offers up a breathtakingly satisfying combat experience. You won't know what mythical monstrosity waits around the next corner in Dragon’s Dogma, but if the idea of taking down a hydra Hercules-style appeals to you, you're going to have a lot of fun finding out.